The auditions of DID L’il Masters Season 3 had loads of shocking moments for judges Geeta Kapoor, Ahmad Khan and Mudassar Khan. While the kids surprised the judges with their dancing prowess, their back-stories were nothing short of being extraordinary. One such talent that left the judges speechless was little wonder – Nishkarsh Dixit from Delhi. All of 7 years of age, Nishkarsh entered the audition hall holding his mother’s hand. With utmost innocence and a sincerity on his face, Nishkarsh gave his hundred percent. Dancing with all his might, the judges mistook Nishkarsh’s perfection, grace and style and thought that it was a girl performing! Shocked after discovering that he is actually a boy, the judges asked him if he has been trained professionally to be dancing with so much grace! To which little Nishkarsh said, “I am a huge Madhuri Dixit fan and want to grow up and match steps with her. I love dressing up like a girl and have learnt laavani and know contemporary and Bollywood dance styles as well. My mother supports me in all that I do, but it is just my father who does not approve of my passion for dance.” Listening to Nishkarsh’s story, the judges were all glad to learn that Nishkarsh has full support of his mother and hence got a chance to audition on this coveted platform. 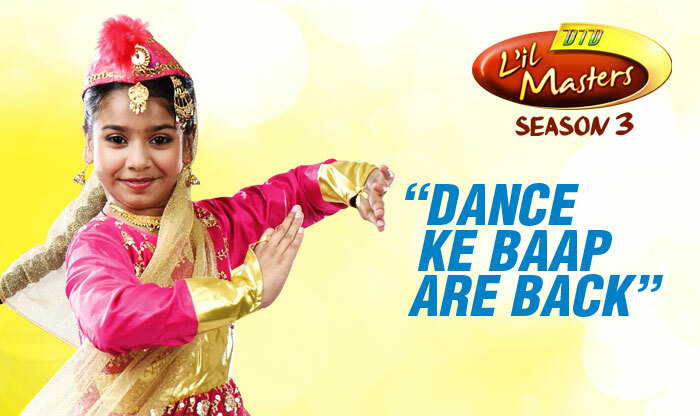 With dreams in his little eyes, Nishkarsh hopes to share the stage with Madhuri someday. However, as he enters the competition, only time will tell if this boy who is misunderstood to be a girl will end up being a part of the Top 18 finalists in this season of DID L’il Masters.